The ELLI conference is celebrating its 5th anniversary! 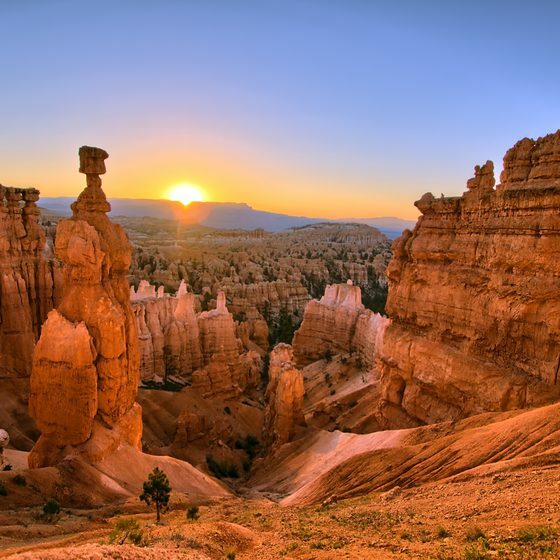 In addition to the intensive sessions and workshops, it will feature an excursion to Bryce Canyon National Park as well as opportunities for excursions to Zion National Park and other Southern Utah locations. This year's theme is Mountains of Possibilities and proposals are being accepted now! Join us in beautiful Southern Utah for a fulfilling time for educators in experiential, engaged, and project-based learning (K-12, Higher Education, non-profit). As your hosts, in conjunction with the National Society for Experiential Education, we design this conference for you to experience and engage in new ways to teach and learn – and our skilled hospitality team will make sure your time with us is well-planned and full of activities! Questions? Contact elli@suu.edu or call 435-586-7808. At the conference, you can experience "PechaKucha." This is an upbeat format that keeps presenters on their toes as their twenty slides advance automatically every twenty seconds. PechaKucha presentations prevent individuals from becoming "long-winded" in their communications. This format is an entertaining way to learn about a wide variety of subjects or perspectives. One of the most loved ELLI experiences is our hands-on active learning. This key component has attendees out of their seats and doing something outside of a normal conference structure. The Active Learning section of the conference changes every year so attendees have something new to look forward to each time. In previous years, this section has included activities centered around leadership and team building, soft skills/what employers are looking for, and place based learning. We Plan Multiple Excursions for You! Experience more than an average conference! Our excursions are always connected to the conference theme, and have a takeaway message and reflection time. Our excursions are a key element to what makes ELLI unique and stand out from other conferences. You Will Meet People from Everywhere!